What happens when you get one of the greatest directors of our time to work with two of the greatest actors of our time? Well, it may not be the best journalism thriller of our time, but the answer is The Post. It’s still a good time at the movies and a movie that speaks to our time! Not long into the running time will you be able to draw the parallels between the need for the freedom of the press now and the same need during 1971 in which the movie is set. The film covers the Washington Posts’ fight to print the Pentagon Papers, documents containing highly classified information about the U.S. involvement in the Vietnam War. Meryl Streep is Katharine (Kay) Graham, the owner of the Post. She has to walk a thin line of being a woman in power, pleasing her board of directors in seeing papers sell, and trying to stay true to the paper’s journalistic integrity. Ben Bradlee (Tom Hanks) is the editor of the Washington Post. He’s old school and doesn’t care about the politics behind the scenes that Graham has to deal with. When the New York Times gets the scoop on the Pentagon Papers, Bradlee is on a mission to get the story. An opening arises when Ben Bagdikian (Bob Odenkirk) chases down sources to get his hands on the Papers and the Times comes under fire from the government. 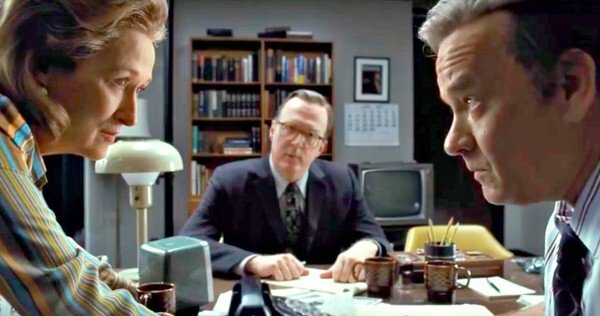 The crux of the conflict in the film comes down to whether the Post should publish the truth by printing the classified documents and risk being destroyed. It’s the moral conflict that director Steven Spielberg is able to explore with his camera and cast of amazingly talented actors that makes this film so intriguing. Both Graham and Bradlee come to see that the frequent social activities they’ve shared with government officials they call their friends has put them in a tough spot. Publishing the papers can bring sons of the United States home from a war that they’ve been losing for years, but it may put their friends in legal trouble. It’s the personal connection that we all have had to deal with in our lives that can create a moral dilemma out of something that should be simple. Of course, the right thing to do is to burn the establishment down and print the Papers, but it’s difficult when you know the faces of those who will be affected. Spielberg uses plenty of one takes to draw us into the tension. He gives a master class in how to keep the camera rolling through a long scene without cutting away, but instead allowing the camera to focus on what’s important. He moves out of a closeup with one character, into a two-shot with another, and then to a wide with effortless ease. It’s also evident that Spielberg respects the process and importance of the printing press in the era. He takes moments to show letters being arranged for printing, and groups of people running to the paper to consume information that we take for granted receiving these days in an instant on our cell phones. There’s no doubt that there is a beautiful dance between the camera and the actors’ performances. 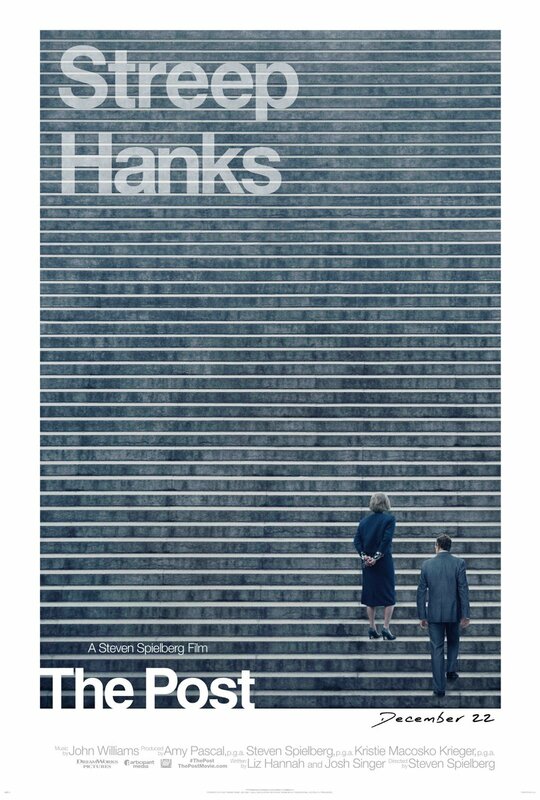 With lines being delivered by Hanks, Streep, Odenkirk, Bradley Whitford, Jesse Plemmons, (an underused but serving the storyline of woman’s roles in the 70‘s household) Sarah Paulson and more, the combination makes for an entertaining film. While The Post may not stand with titans like All The President’s Men and Spotlight in regard to incredible journalism thrillers, it’s not too far behind. The public should know the truth about the government who is supposed to serve them, but The Post explores the grey area that makes it hard to be done at times. Nonetheless, it shows that the right side of history is always the one that tells the truth.